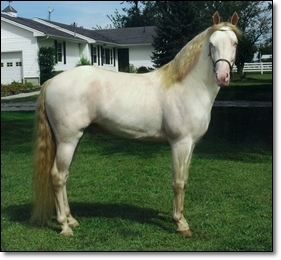 Phantom is certainly a horse of a “different color’ and one of the breeds leading sires. 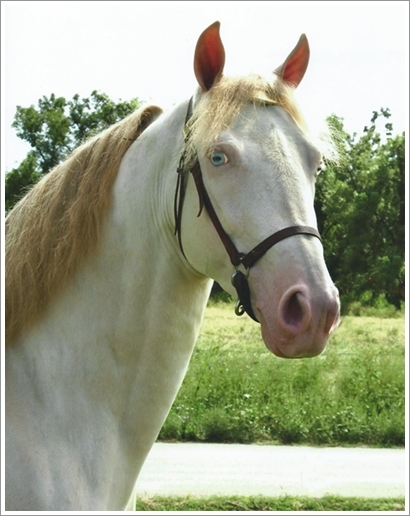 He was NBC Reserve High Point Stallion in 2014. 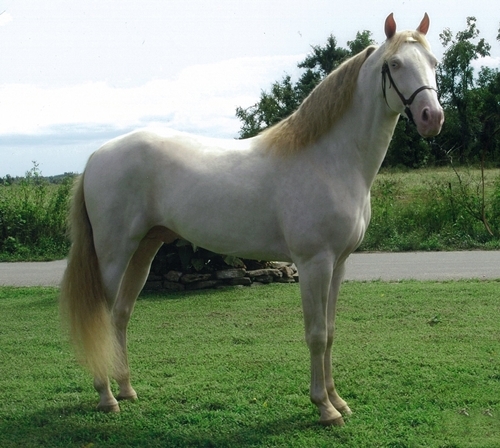 Phantom is a DNA confirmed perlino who is guaranteed to always produce color. He is the result of 5 generations of proven ability and carries the Traveler, Sensation, Charming Lad, Pride of Princess, Red Alert and Bronze Pride bloodlines. 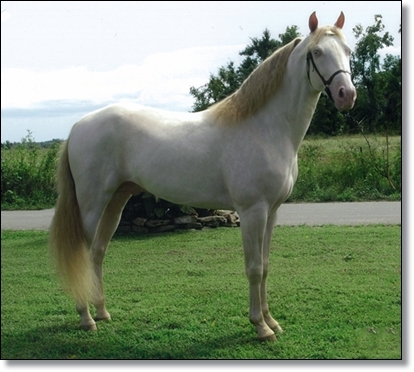 He is producing offspring with color, ability and disposition who are already show ring champions. 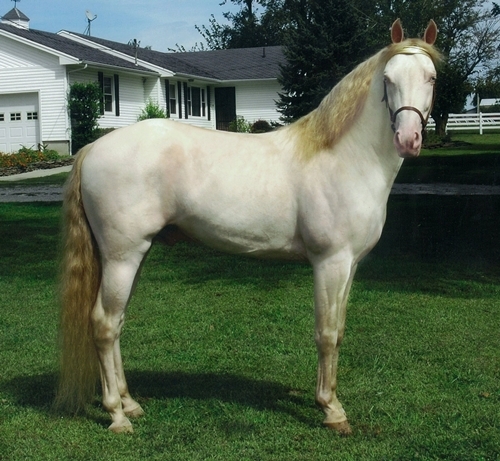 These include multiple World, Mid-America and NBC champions: Mystical Phantom, Logan’s Pirate Chief, Winning Colors, Phantom’s Magical Rhythm, Midnight Phantasy, Phantom’s Prince Charles, Phantom Traveler and Phantom’s Ozark Jubilee.